Tuesday, April 19, 2016 from 6-8 pm at Park Towers, One Howard Hughes Drive (Just off Flamingo Rd behind Lawry's), alumni, family and friends are invited to our Annual Spring Reception & Prize Book Ceremony to honor our local Harvard Prize Book winners and to meet local high school students who have been admitted to the Harvard College Class of 2020. The Lee family has graciously extended their home to host this event once again! Once again, we will be asking alumni for sponsorships to cover the costs for the students attending and their guests. 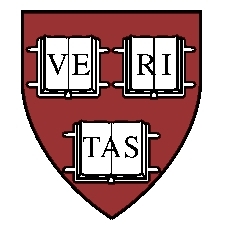 There are three categories of sponsorship: John Harvard ($750+), Crimson ($250-$749), and Scholar ($125 suggested). Each student is usually accompanied by four people, so we suggest a $125 contribution for the Scholar category. If you cannot sponsor at this time, we hope you will join us for the event ($30 per attendee) to provide support for the event and to speak with local students about your own Harvard experiences. Refreshments will be served. Please contact Claire Roth, 702.683.9944 or claire.roth@gmail.com if you need more information or would like to discuss a sponsorship. The Harvard Club of Nevada is a 501c3 charitable organization. All donations & sponsorships (above $50/year) are tax deductible as allowed by law.